Foundations and people we look up to, and or strive to be like, can be found below. 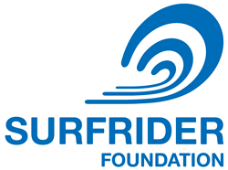 The Surfrider Foundation USA is a U.S. 501 grassroots non-profit environmental organization that works to protect and preserve the world's oceans, waves, and beaches. We have led the effort to research aquatic plastic pollution and to find solutions for regaining a plastic-free ocean. "WHEN WE HEAL THE EARTH, WE HEAL OURSELVES" Who has heard the soothing sound of crashing surf, smelled the crisp salty sea air, basked in the warmth of the sun overhead and sand under foot, relished the joy of catching the perfect wave, felt an angler's excitement from the tug of the fishing line, returned from an invigorating shore swim, delighted in the sighting of a passing pod of dolphins, or watched in quiet awe the beauty of an ocean sunset, and not been inspired to hold and keep these experiences dear? Our rivers, our beaches and our ocean are incredible natural resources that serve as special spiritual sanctuaries. Aardvark Straws are colorful, fun and creative, and are the only FDA-approved, eco-friendly paper straws made entirely in the USA! No ordinary paper straw, Aardvark is the most durable you can buy. Period. You can buy these Paper Straws here, Make the Switch from Plastic Straws to Eco-Friendly Paper today! We and our affiliates provide hands-on care and services to more than 100,000 animals each year, and we professionalize the field through education and training for local organizations. We are the leading animal advocacy organization, seeking a humane world for people and animals alike. We are driving transformational change in the U.S. and around the world by combating large-scale cruelties such as puppy mills, animal fighting, factory farming, seal slaughter, horse cruelty, captive hunts and the wildlife trade. Surfers for Cetaceans is committed to activating ocean-minded people everywhere to support the conservation and protection of whales, dolphins and marine life. It's through compassion, awareness, education, media and dedicated interventions that we will accomplish this goal. We seek to be a human voice for and defender of cetaceans worldwide. For more than 50 years, WWF has been protecting the future of nature. The world’s leading conservation organization, WWF works in 100 countries and is supported by 1.1 million members in the United States and close to 5 million globally. WWF’s unique way of working combines global reach with a foundation in science, involves action at every level from local to global, and ensures the delivery of innovative solutions that meet the needs of both people and nature. We want to thank Judah for sharing his wonderful photographs with Drains to Ocean!